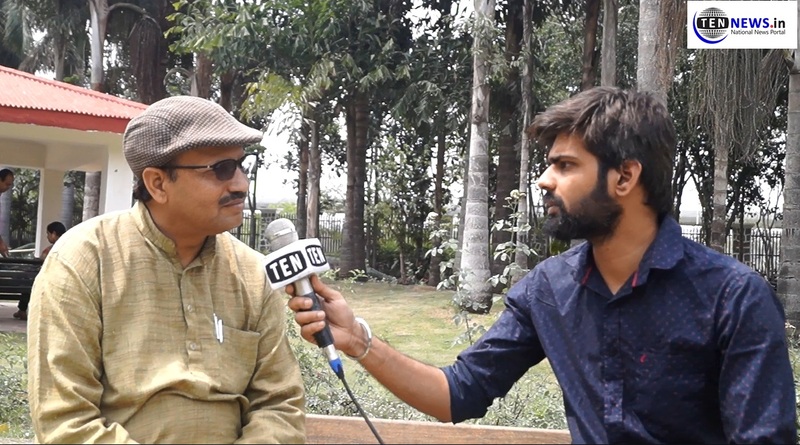 Today Ten News interacted with Professor Narendra Kaushik who is associated with JECRC University, Jaipur as HOD of Journalism department. Before that, he was in the field of journalism for more than 20 years and worked with prominent media houses of the country. Ten News talked to him over the status of Journalism and its future in India and the current political scenario. First tell us how you started your career in the field of journalism? How has your journey been so far? I started my career in the early ’90s after working for seven years with a government organization. I followed my passion, did PG diploma in Journalism and then entered the field. After entering this field I worked as an intern with Hindustan times. Thereafter, I got the opportunity to work with Mid-Day Bombay. What do you think of the current status of Journalism in India? News dailies are placing advertisements on front pages telling that they are more credible which is also a fact as written word is considered gospel truth. Television may have a larger reach but not the credibility. As you are in the academic field so what are the aspects you focus on while teaching your journalism students? How do you inculcate moral and ethical values in your students? I tell my students, not to think of short term interest but to think of long term interest. It takes a lot to build credibility. It is not something that you can achieve in a day. It is built brick by brick. But once you do a wrong story your credibility gets demolished. I always tell my student that you need to be very careful about while reporting an incident because you are accountable to your viewers/readers. What is your take on Modi Govt’s performance during the last 5 years? The scheme like Swachh Bharat Abhiyan and Ujwala Yojana have made a huge difference. The new generation can’t understand what the value of toilet in a house is but I can understand it very well.The scheme is a major success of the government but on the other side there is increasing rate of unemployment and demonetization that was done with the right intent but didn’t deliver the result for which it was done. Modi has done some major tax reforms that have increased the ranking of India in ease of doing business. So overall I find his 5-year tenure good. What is your opinion about the likely outcome of Lok Sabha Elections? It is too close to call. The current situation in the country is like north-south divide theory that we teach in mass communication. In the Northern part of the country, Modi seems to be stronger while in Southern part Rahul seems to have a better grip. IPL 2019 SRH vs CSK Match Preview: Can Orange Army beat CSK?